PARIS (CLS PR) — With the support of CNES, CLS (Collecte Localisation Satellites) is proud to announce the creating of a new subsidiary: Kineis. By 2030, Kineis plans to connect several million objects around the globe, becoming a leader in the new space race. New Space companies and the general public alike will have access to a global satellite location and connectivity service that is both easy to use and very affordable. This connectivity is being offered by an unprecedented constellation of nanosatellites developed with: Thales Alenia Space, Nexeya and Syrlinks. The constellation will be in orbit by 2021. Currently, 90% of the world is either not network-connected, or connected but prohibitively expensive. Furthermore, today’s IoT offer is difficult to use. Yet the needs exist now: how do you find a lost container? Or a container is transporting perishable goods: how do you remotely control its temperature? A traditional fishing boat suffers engine failure: how do you send out an SOS call? How do you track it down to offer assistance? A hiker in Nepal wants to share his trip with his friends and family in real time: how can he post his route? Logistics, fishing, agriculture and outdoor recreation are all sectors seeking affordable global connectivity! The Kineis constellation will be in orbit by 2021. To address these issues and facilitate the use of this technology, CLS is expanding and has created Kineis, with CNES’s support. Kineis connectivity draws on a new innovative satellite constellation of 20 nanosatellites with a new communication technology tailor-made for connected objects. CLS has entrusted the development of this constellation to Thales Alenia Space for the prime contractor of the complete system, which will rely on Nexeya for the fabrication of nanosatellite platforms and Syrlinks for its support in the design and construction of the instrument. The constellation will be in orbit in 2021. “We are extremely proud to be able to bring our expertise to the development of this major project both for our company but also for our subcontractors and partners. It is the result of successful collaboration between CLS, Nexeya, Syrlinks and Thales Alenia Space rooted in Thales Alenia Space’s long-standing involvement in the ARGOS programme and the French Space Agency ’s Angels/Argos NEO nanosatellite project, which has lent credibility to an innovative system approach based on a very reliable, high-performance nanosat constellation,” said Jean Loïc Galle, CEO of Thales Alenia Space. “We are also delighted to bring our solution derived from Meolut-NEXT, certified in 2016 and operational since December 2017. It was a prize-winner in the ‘Humanitarian achievement’ category of the Better Satellite World Awards organised by Space & Satellite Professionals International (SSPI),” he added. In the 1980s, CLS and CNES created the ARGOS system, laying the foundations for what would later become IoT. CLS used the ARGOS satellite system to track connected objects before GPS or Galileo even existed. As the world operator of the ARGOS location and data collection system, CLS’ provides Kineis with 40 years of experience in geo-location and data collection, four generations of technology development, and data processed from hundreds of thousands of beacons. Over all these years, CLS has helped scientists, governments, and manufacturers, as well as great outdoor adventurers. Thanks to this heritage, Kineis has the dual advantage of technological mastery and intimate knowledge of the needs of its users and markets. This double dose of expertise and experience have earned Kineis the confidence of its investors and customers. Kineis plans to work closely with terrestrial IoT operators, current satellite operators and connected object manufacturers. Kineis connectivity is positioned as an entry-level service for certain satellite operators and as a complement for terrestrial operators wishing to offer their customers worldwide coverage. With Kineis, CLS is revolutionising ARGOS and democratising a system that has enabled the history of animal migration to be rewritten, marine resources to be managed sustainably, piracy to be fought and the greatest ocean races to be followed. More efficient, easier and affordable, the unique and universal connectivity offered by Kineis will soon be widely available to the general public (outdoor leisure activities, boating, etc.) and the private sector (logistics, fishing, agriculture, etc.). Kineis will enable IoT use to make the impossible, possible. 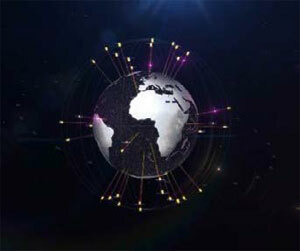 Kineis is an independent, private satellite operator, a connectivity provider and subsidiary of CLS. An emerging player in the New Space sector, the company proposes innovative global connectivity for the IoT domain. Kineis locates and collects data all over the globe in all conditions. The company aims to work closely with terrestrial IoT operators, current satellite operators and connected object manufacturers. It offers universal, simple, low-power, reliable connectivity at a cost accessible to as many people as possible. It is based on an innovative new satellite constellation of 20 nanosatellites custom developed for IoT by Thales Alenia Space, Nexeya and Syrlinks. The constellation will be orbited around 2021. It draws on the ARGOS system legacy of 40 years of experience in location and data collection. CLS, a subsidiary of CNES, ARDIAN (an independent private investment company that manages and/or advises on $60 billion in assets) and IFREMER, is an international company that has been pioneering the provision of Earth observation and monitoring solutions since 1986. Its vision is to conceive and deploy satellite-based solutions to understand and protect our planet, and manage its resources in a sustainable way. CLS employs 700 people at its headquarters in Toulouse and 26 other sites around the world. The company operates in six strategic business sectors: sustainable fisheries management, environmental monitoring, maritime safety and security, fleet management, energy and mining, and space and ground systems. In particular, CLS provides satellite services based on the location and collection of environmental data (100,000 beacons and terminals processed each month, drifting buoys, animals, fishing and commercial fleets, etc. ), observation of the oceans and inland waters (more than 20 instruments on board satellites provide daily information to CLS on the world’s seas and oceans), and monitoring of land and maritime activities (CLS processes nearly 10,000 radar images every year). The CLS Group achieved a turnover of more than €122 million in 2017, and plans to increase it to nearly €135 million in 2018. The Group has been growing strongly in recent years and has set itself ambitious objectives by breaking into new markets. The French Space Agency, CNES, is a public establishment of an industrial and commercial nature, responsible for proposing to the French Government then implementing a national space policy within Europe. As such, its task is to invent tomorrow ’s space systems, bring space technologies to maturity and guarantee France’s independent access to space. CNES is a pivotal player in Europe’s space programme, and makes proposals on how France and Europe can remain leaders in the competitive world market. CNES also represents France as a member of the European Space Agency (ESA). It works closely with scientific and industrial partners with which it develops the space programmes it designs. It participates in numerous international cooperative projects, an indispensable requirement for any large-scale space policy.